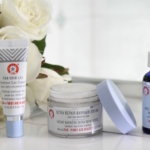 Our skin’s needs change with the season, so switching up our skincare at those intervals makes sense. But what about more specialized needs, like brightening or exfoliating? It’s always a good time to reboot your skin care routine when you have a specific concern. 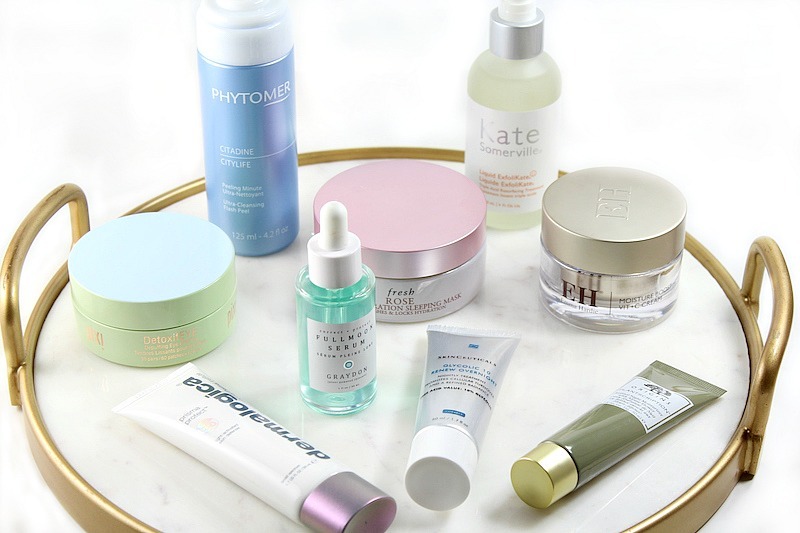 There are plenty of new skincare launches out, and wading through the choices can be overwhelming! 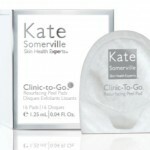 Liquid ExfoliKate Triple Acid Resurfacing Treatment from Kate Somerville is a 10% alpha hydroxy enzyme exfoliating solution containing Glycolic, Lactic and Malic Acids, plus fruit enzymes. I like that there are peptides, honey and tea extract to soothe skin. 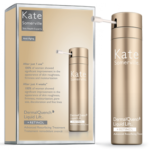 Liquid ExfoliKate is used at night and not rinsed off, and reduces dullness, uneven texture and refines the appearance of pores. As with any acid-containing product, introduce gradually. Start with every other night, then use nightly. Phytomer Citylife Ultra-Cleansing Flash Peel is formulated with Algae Extract and Vitamin E, and only takes 30 seconds! Apply after cleansing, pat skin dry and massage into skin. It foams and bubbles; you then rinse off to reveal smooth, soft and refreshed skin. I particularly like this one because it decongests and detoxifies skin, and because it can be used in the morning. If it’s strictly a glycolic acid treatment you’re looking to incorporate, SkinCeuticals Glycolic 10 Renew Overnight is clinically proven to promote a brighter, clearer-looking complexion. It’s formulated with 10% glycolic acid at an ideal ph and concentration to exfoliate with minimal irritation. 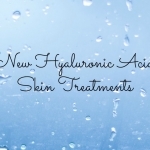 All skin types can use this treatment to work on fine lines, improved texture and a radiant complexion. I’ve been using a pea-sized amount nightly without any irritation or dryness. Do you like a multitasker? Then I would recommend the Graydon Fullmoon Serum. This is a lightweight, water-based serum that has all the actives your skin needs: natural retinol, hyaluronic acid, vitamin C, peptides, blue tansy and more. I like to apply after cleansing and let it sink in while I’m getting dressed, so that it’s completely absorbed before I apply my makeup. I didn’t have any irritation; just glowing skin. For those that are into natural, vegan, cruelty-free, clean beauty, this is for you. Retinol is the gold standard in anti-aging skincare because there is solid evidence that it works. You can find it in prescription form, but in the past few years, very effective over the counter products have been introduced. Origins is out with new Plantscription™ Retinol Night Moisturizer, and I love it. I’ve been using after the Plantscription™ Anti-Aging Power Serum with good results and no irritation (start by introducing every other night). The formula includes Swiss Alpine Flower to help support skin’s natural collagen production. I didn’t experience irritation with this combination. An antioxidant treatment should be part of your skin care regimen. 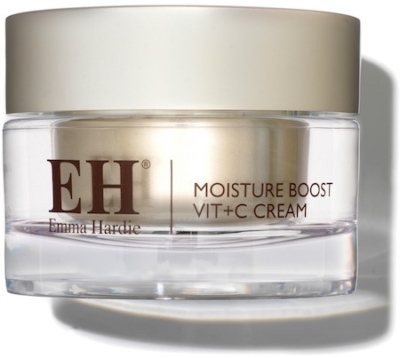 The Emma Hardie Moisture Boost Vitamin C Cream is a luxurious way to hydrate and brighten skin, erase UV damage, increase collagen production and smooth skin texture. 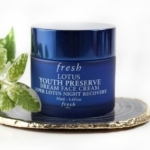 This cream is best layered over your favorite oil or serum in the morning. Rich and hydrating! One of my favorite skin care lines is Fresh; the products are gentle and effective. 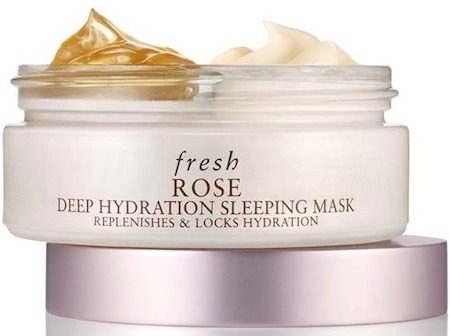 New Rose Deep Hydration Sleeping Mask is my current obsession. It’s a two-step mask that amps up hydration overnight. Start by applying the cooling gel essence (this is AMAZING! 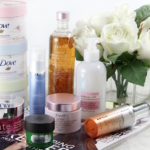 ), which is packed with rosewater, damask rose extract and hyaluronic acid to replenish moisture. Let it absorb, then immediately follow with the water-cream mask to lock in hydration. In the morning, my skin is thoroughly hydrated and glowing! Another new treatment that just crossed my desk is Dermalogica Prisma Protect spf30. If you’re using an exfoliating regimen (alpha hydroxy, glycolics and/or retinols), a daily sunscreen is a must. Prisma Protect spf30 is an all-in-one daily moisturizer that uses light-activated algae to boost skin’s natural luminosity, defends against UV light, free radicals and blocks 85% of pollutants, plus provides all-day hydration for smoother skin. I haven’t had any shine or oiliness with this spf; it’s a nice find. 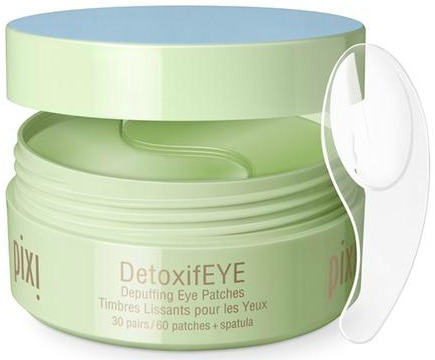 Pixi Beauty just sent a package with their newest skincare, and one of the standout products is the DetoxifEYE Depuffing Eye Patches. I have chronic dark circles and undereye puffiness, so I’m always interested in finding something that will help. These little wonders do the trick! The hydrogel patches are infused with cucumber and gold to help sooth, nourish, and help the delicate undereye area to look refreshed. Hyaluronic acid and caffeine depuff, smooth and help to reduce dark circles. Winner! Is it time to reboot your skin care? Let me know in the comments!